Sometimes in a planning or backlog refinement meeting, despite all the exciting stories at hand, inertia sets in and energy levels seem to sink to the floor as the meeting goes on. And since we really do need to cover all the epics in that list, it does tend to last for quite a while. Sounds familiar? 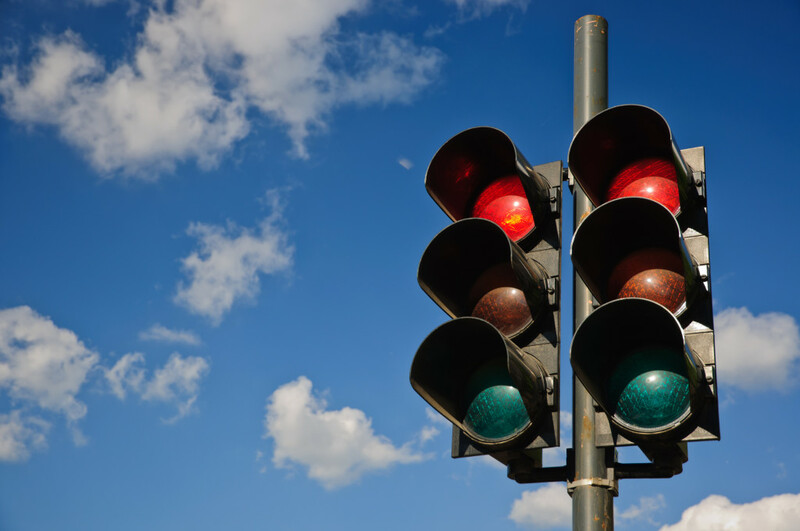 For traffic-light-style release planning, you’ll need red, orange and green paper. I’d like to share a format that may be used in such a meeting, that I have found helps to engage all participants as well as often shorten the meeting, compared to a more traditional format. I have played around with two different variations, depending on whether you want to use it to sort out “what needs to be done when” (sort of release planning) or time estimation. Three sheets of colored A1-paper, one red, one orange and one green. Images of something to represent size. Let’s say you typically estimate stories as small, medium or large – then you need three different images to represent that, for example you may pick a gecko lizard, a chameleon and a Komodo dragon. 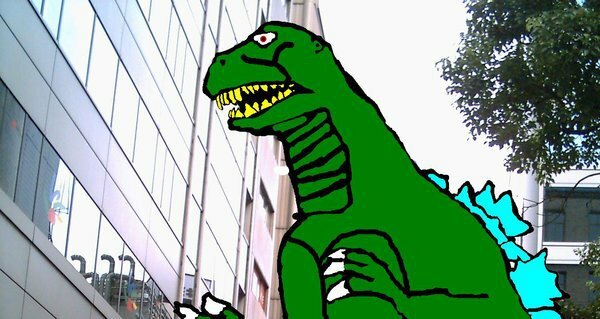 For fun, and to illustrate stories that are larger than large, you may also add a picture of Godzilla. If anything ends up being a Godzilla, it’s an indication that this story needs to be broken down further. Pictures of lizards may be used for time estimating. If you’re the facilitator, make sure to get there ten minutes before everybody else to set the room up. Put the stories, tape or blu-tack and colored stickers or marker pens on the table. If you use tape, it helps to rip off about as many pieces of tape as there are stories and put at the edge of the table (otherwise, tape supply will be the bottleneck). On a wall, put up your A1 colored papers in a row, or if your main focus is time estimation, put up the lizard pictures. At the start of the meeting, each team member grabs a story and puts it up on the wall where he or she thinks it belongs. If you do release planning, stories that are candidates for work to start on pretty much ”now” go on the green paper, stories that may “wait a bit” go on orange, and stories that we think should be saved for ”later” go on the red paper. If you’re doing time estimation, make sure the team agrees on what small, medium, large actually means before you start and which picture illustrates which size. Each story is then put up next to the image that corresponds to its estimated size. It’s important that each team member does this independently without any discussion, but that all do it at the same time. This shouldn’t take more than a few minutes. When all stories are up on the wall, it’s time for individual reflection. Everyone is to look through the stories and their placements. If you don’t agree with where a story has been placed, put a colored sticker on it or mark it with a marker pen. If you do the ”what-to-do-when” version, it’s convenient to have the same colors for the stickers as for the papers on the wall. That way, if you think a story on the green paper should be on the red, just put a red sticker on it. Discussion starts when everyone feels done going through the stories. Then start discussing the stories that have the most disagreements. Should the story stay where it’s placed, or does it need to move? Once the team can agree on where a story should go, move it there and put a check mark on it to illustrate it’s been covered. Once all disagreements have been sorted out, you may want to go over all the stories and where they have been placed, just to make sure you all have the same bigger picture. This can usually be done fairly quickly. You may feel the need to break down the stories into tasks as you discuss them, in that case, go ahead. Or you may want to schedule a separate meeting for that purpose, like meeting again tomorrow to break down all the stories that have been put on green, where work will begin shortly. If you do time estimation as you’re planning a major launch, you may combine this with a simple release planning. For each story, ask ”does this have to be in place before we can release?” Draw a line on the wall, and if the answer is yes, but the story above the line, otherwise below it. Then, when you’re done, you not only know approximately how long the work will take, but also what you absolutely need to get done to launch. …I’d be curious to hear what you think, and if you have more ideas for variation and improvements. Like is there a way to tweak the format to fit also distributed teams? I was thinking of using this to introduce discussion into our backlog refinement sessions, we could have the stories on the wall and make a drawing on a post-it note for how difficult/complex we feel it will be. For example it could be something silly or funny and each person could go through and explain the different aspects of their drawing that relate to the story. It would engage people in the conversation and make giving rough estimates fun for the team. Currently simply asking for sub-tasks, story point estimates, time estimates, etc. is very tedious and disengaging. Thanks for your post, you have given me some ideas of how we could make our backlog refinement sessions more entertaining.